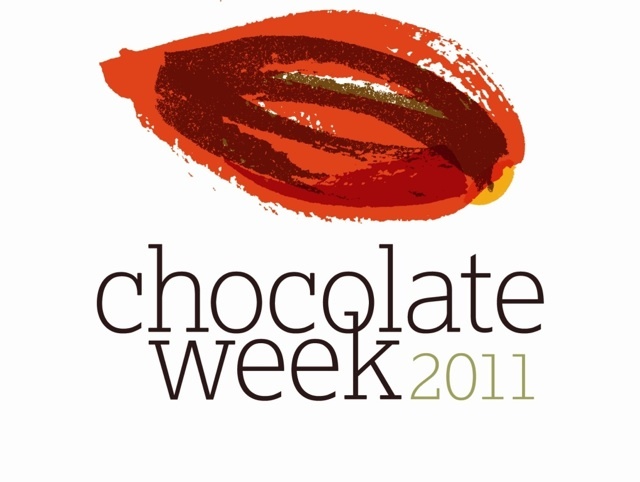 In honour of UK Chocolate Week 2011 I wanted to post this recipe. Line some baking sheets with greaseproof paper. In a heatproof bowl whisk together the egg whites and sugar over a simmering pot (ensure the bowl is not touching the water). Whisk continually until the sugar has completely dissolved then remove the bowl from the heat. Beat the eggs and sugar on high speed until the mixture is stiff and glossy. 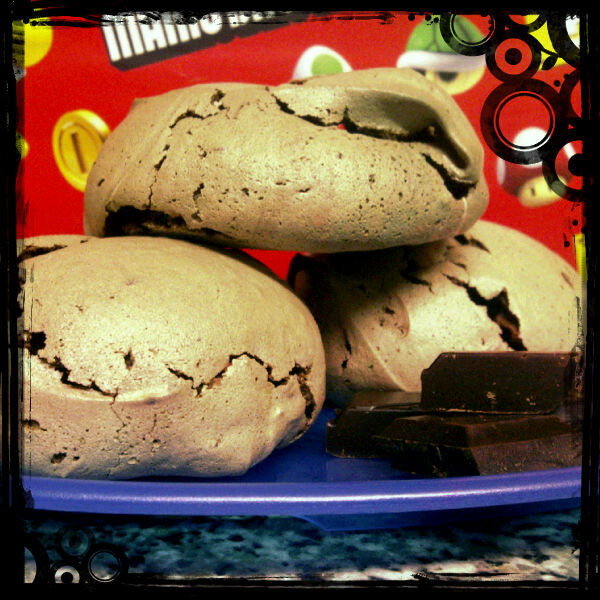 Sift the cocoa powder over the meringue and sprinkle the chopped chocolate. Using a spatula fold into the meringue until all ingredients are well combined. Use a scoop to drop mounds of meringue onto the prepared baking trays leaving two inches between each to allow them to spread. Bake for 8-9 minutes and then rotate the baking trays 180 degrees and bake for a further 8-9 minutes or until the meringues are fluffy and the surfaces have cracks in them. Transfer the meringues to wire cooling trays, leaving them on the greaseproof paper. Recipe makes 20-24 meringues.